Today we bring you a map of adventures about Star Wars themed. Rise of the Rebellion 1.6.2 is a map that led to its developers about five months of work. 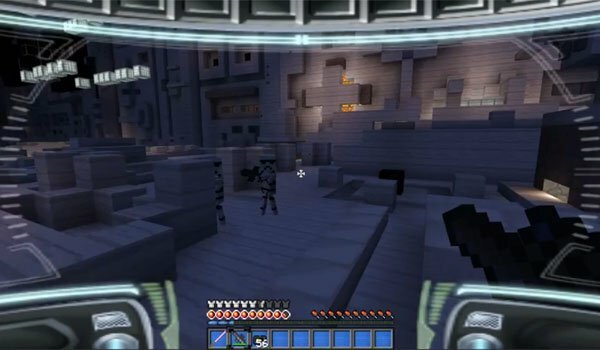 In this map get dive into the world of Star Wars through various elements such as lightsabers, blasters, parkour in the Death Star, explosions, puzzles and lots of exploration within environments that Star Wars fans will readily recognize. This mod incorporates a custom textures that are contained within the downloaded file, you just have to follow the installation process. How to install Rise of the Rebellion Map for Minecraft 1.6.2? Paste the file “ROTR Texture Pack” of the downloaded mod within “resourcepacks”. Enjoy this new adventure in the stars!